When we talk about the future of retail, we often focus on just that — the future. Conversations fixate on new in-store technologies or revolutions in data and personalized marketing, but we rarely look to examples of the past to anticipate what’s next for retail. One example the industry cannot ignore is Toys”R”Us. Though the once-thriving toy store chain closed its doors, its loyal shopper following can teach us important lessons about how consumers will shop in the future. 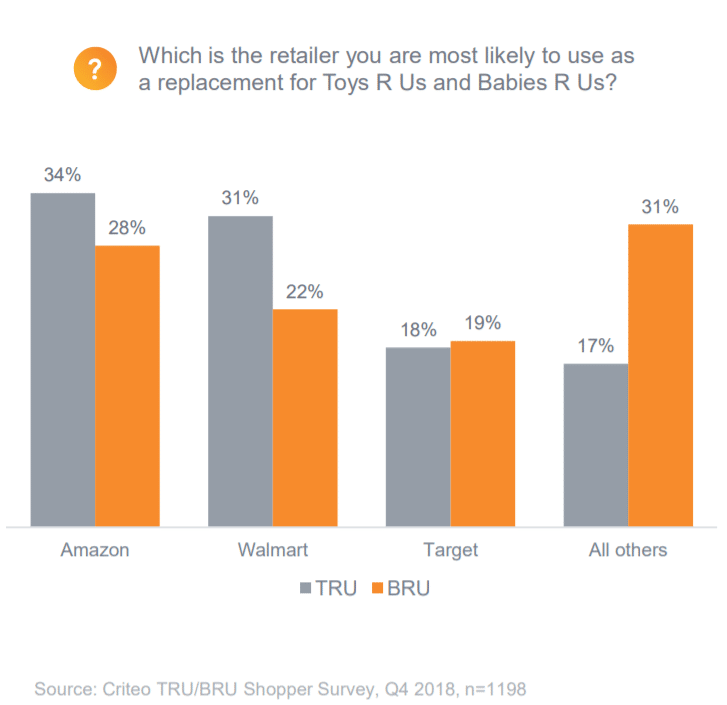 That’s why Criteo surveyed more than 1,000 former Toys”R”Us and Babies”R”Us customers about their shopping behaviors. Common themes came to the surface in our study, including convenience, the in-store experience, and customer loyalty. But in addition to prevalent industry trends, we also uncovered insights that challenge common assumptions in the retail marketplace. Myth 1: Convenience = Ecommerce. Consumers want convenience at every stage of the buyer’s journey. But what exactly does it mean to them? We learned from our study that surprisingly, shoppers don’t always associate convenience with ecommerce. In our survey, 67% of shoppers said convenience is important to them when choosing a replacement retailer for Toys”R”Us and Babies”R”Us. Access to a physical store is a big part of the convenience factor for many respondents. The Toys”R”Us in-store experience was highly touted by former customers, and going forward, more than a third of respondents said they plan to buy mostly in-store at their replacement retailer and 18% plan to shop in-store only. Both Walmart and Target have captured almost as much share of former Toys”R”Us shoppers as Amazon due to their extensive physical footprint, indicating that a retailer’s brick-and-mortar presence still plays a significant role in attracting customers. Myth 2: Price is the only factor that matters. While retail can seem like a race to the bottom, today’s shoppers have shown that they value factors outside of price. This also proved to be true with our survey respondents. 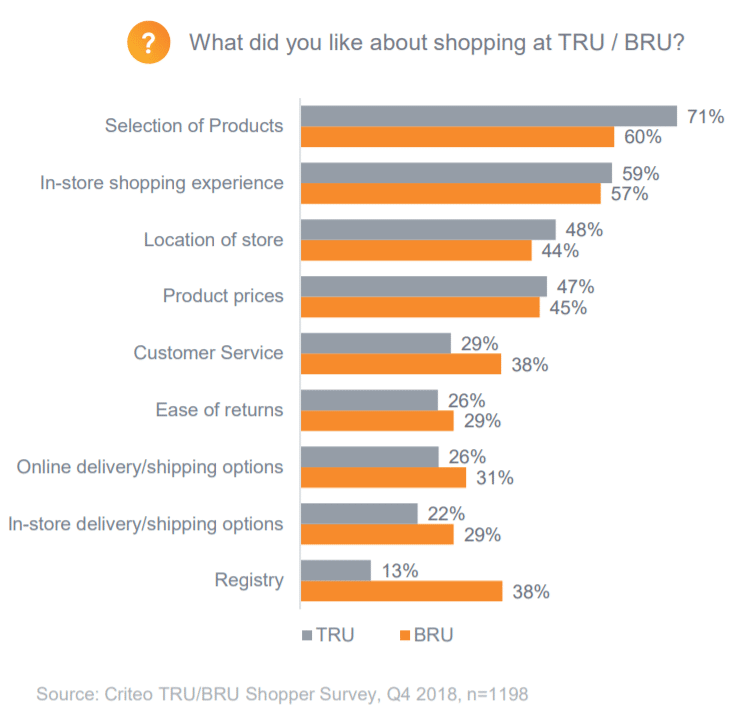 When respondents were asked why they liked to shop at Toys”R”Us and Babies”R”Us, the majority chose three factors that go hand in hand with their desire for convenience: selection of products, in-store shopping experience, and store location. This proves that consumers are still experience-driven, and retailers have a lot of opportunities to build loyalty and drive sales through physical stores. Myth 3: Ecommerce is killing brick-and-mortar. 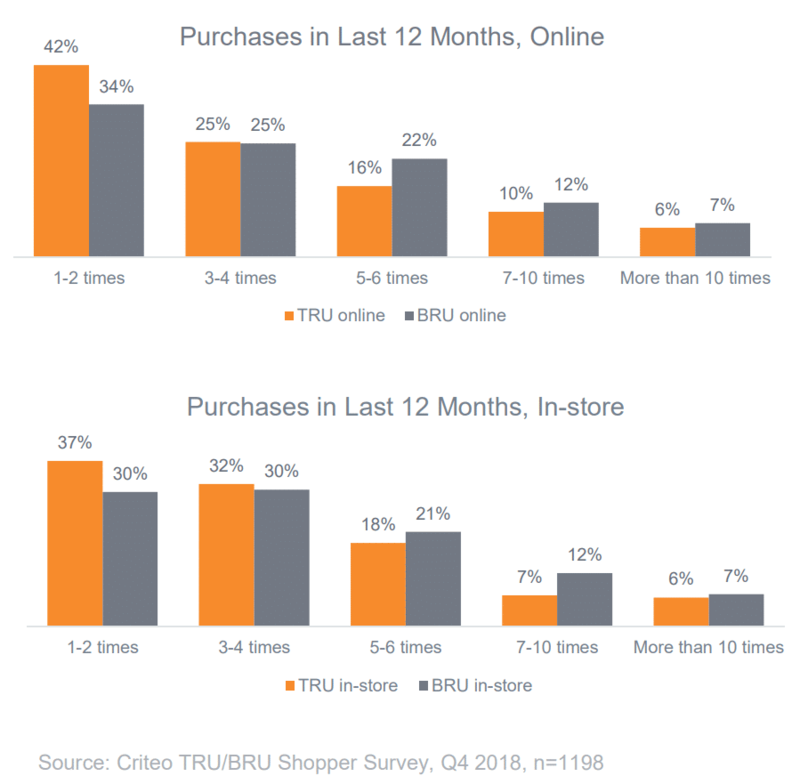 Ecommerce continues to grow, but that doesn’t mean consumers have stopped shopping in stores. In our survey, more than half (59%) of former customers said they purchased from Toys”R”Us and Babies”R”Us by visiting physical stores. We also found that in the last 12 months, the majority of those surveyed had purchased products in-store at least three to four times. The digital revolution calls for retailers to rethink the way consumers shop. As brand and consumer relationships evolve, retailers must be open to shifts in the customer journey, specifically in the areas of convenience, loyalty, and the coexistence of the in-store and ecommerce experiences. For retailers to make data-driven decisions, it’s important to look past common myths and leverage real consumer insights to get an accurate view of the retail market. For more insights from our survey, download the full report: Retail Disruption & Opportunity: The Toys”R”Us Shopper Survey.